Wow, we’re already a month in to the new year! How fast does time fly by, soon it’s December again. A new month means that I pick out my favorite manis from the past month. This time it was really hard for me to pick them, because I have done plenty of manis that I loved in January. The absolute favorite has to be the tropical gradient though. I was so sad when I had to remove it. Which mani is your favorite? Hi everybody, I hope you had a lovely weekend and that you have a good start of the week! The base for this mani is a gorgeous blue polish from OPI called Give me space. It is from last year’s holiday collection and it is actually one of my favorite polishes from last year! 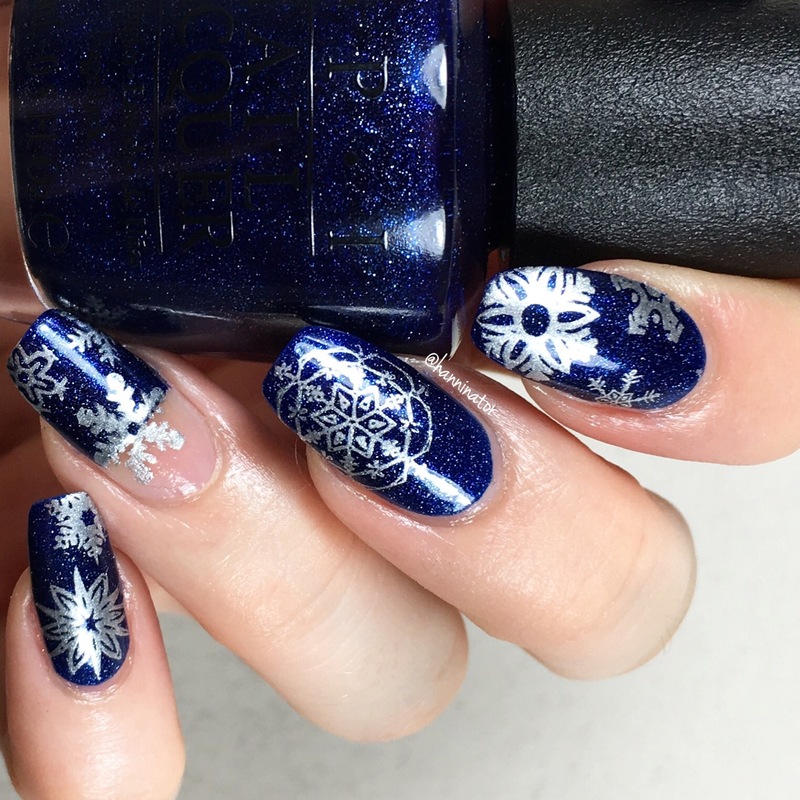 I used I drive a supernova from OPI, Stamping plate Festive 02 and Crystal clear stamper from MoYou London to create the snowflakes. To get a clean line for the negative space part I used Straight nail vinyls from Snail Vinyls. 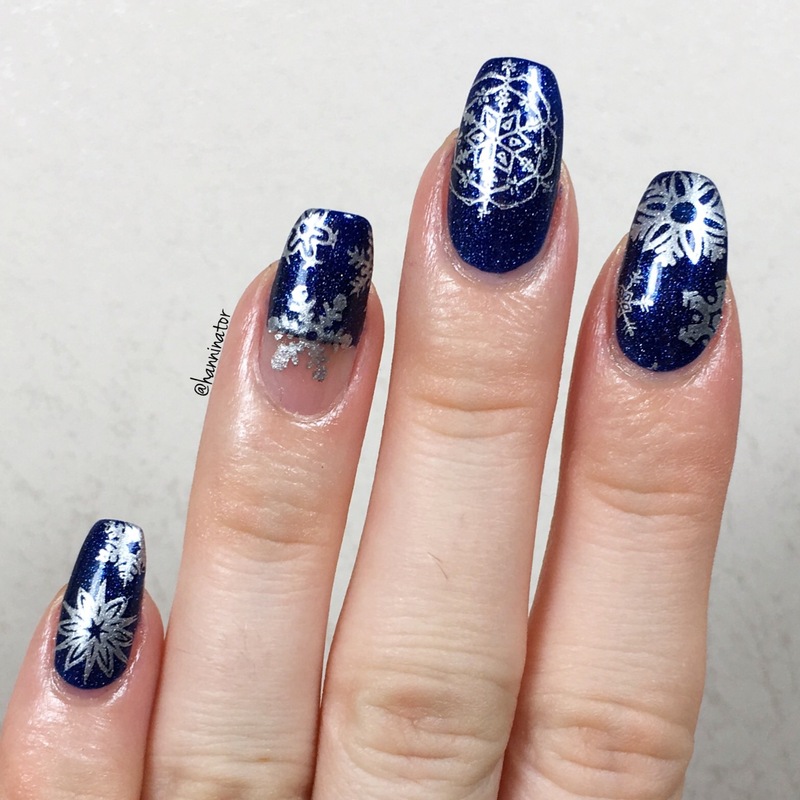 I hope you’re excited for more holiday/winter manis, I know I am! I started off this week with some blue nails, namely Frostbite from China Glaze. 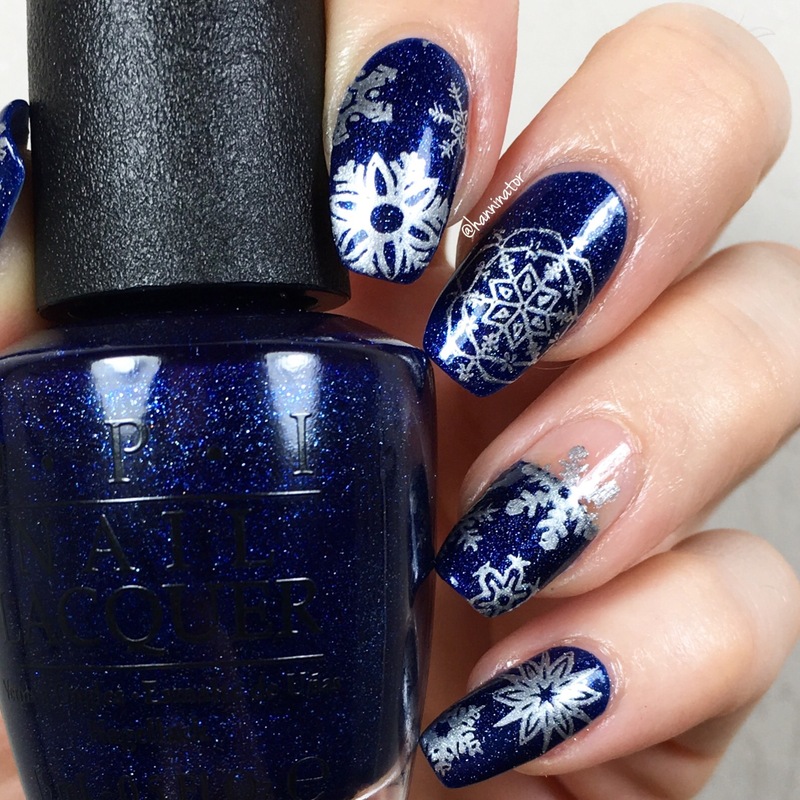 Frostbite is a gorgeous frosty blue polish that covers in two to three coats. I really liked this polish so I felt like wearing it a little bit longer than I had planned. So I decided to do some nail art over it. It was a really long time since I did a glitter gradient, so thats what I went for this time. And I think the nails turned out really festive, they would be perfect for New Years Eve! The base is Frostbite and the glitter is Muppets world tour from OPI. It was also really long time since I used matte top coat so why not add that over the nails while I was at it. And they turned out even better, at least according to me! I must use matte top coat more often. Which look do you prefer, shiny or matte?